Take it to the rack and finish strong, practice those jumpers beyond the arc with this NBA Motion Masterpiece Basketball Hoop 1:9 Scale Replica! This basketball hoop is referenced from the actual size and design of a real basketball hoop. The NBA Motion Masterpiece Basketball Hoop 1:9 Scale Replica features a quality transparent acrylic plastic board, orange hoop, and pillar with a high quality metal casting base to secure a stable display. The hoop also has a special paint effect applied on for better texture. 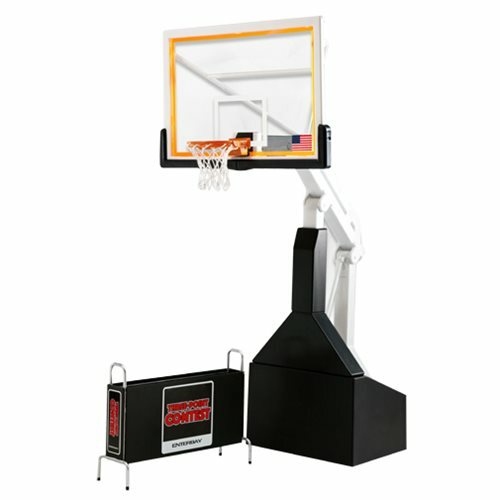 Also included are 1x black basketball rack, 10 2/3-inch tall stand, sticker, and replica orange plastic LED lights decorations. Ages 15 and up.